Gluten Free Twin Mom: Gluten Free BlueWater Seafood and Giveaway! Gluten Free BlueWater Seafood and Giveaway! It is quite fitting that my newest post is on the day of daylights savings, when we lose an hour but gain the warmer and longer days of Spring soon to come. It seems just like a while ago that I wrote my last post about school lunches as the new school year was starting. 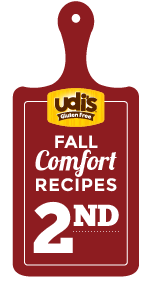 Now it is March and spring is fast approaching and once again I feel refreshed to start sharing our gluten free recipes and experiences. Recently I was contacted by BlueWater and given the great information that BlueWater Grilled Fish is now gluten free! They have implemented procedures at the production location to avoid cross-contamination and have set up ongoing monitoring to make sure the items are safe. They were kind enough to send me a coupon to sample their product and share our review. We decided to try their Classic Grill Tilapia and make one of our favorite types of tacos- Fish Tacos! 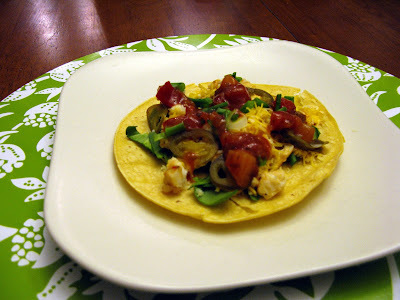 They are simple to make and our kids always love that they can assemble their own tacos with their choice of toppings. To give the most honest representation of what my children has thought of my dinner choice, the story starts at the grocery store. We picked out the fish and my daughters turned to complaining and "I do not want that for dinner, I don't like fish." While this is far from the truth, my children often forget what foods they actually like and tend to complain until it is in their mouths and they remember how much they do in fact like it. Once we got home and cooked the fish and it was set in front of them, they made a decision to try the fish and could not get enough!! The tilapia was light and flavorful and very simple and quick to cook. Although I prefer my fish fresh, this offers a great solution for a quick dinner and allows you to experience the benefits of incorporating seafood regularly into your diet. If you would love to try one of BlueWater's new gluten free grilled fish products, please enter below. Three lucky Canadian winners will be chosen. The package includes a coupon for a fresh product and a sling bag. 1. Bake fish in oven according to package directions. Cut fish into smaller portions or separate with fork. 2. Prepare other ingredients and place in individual bowls or sectioned platter to allow everyone to assemble their own taco. 3. Assemble tacos and enjoy!! I like perch and tilapia! I like cod and haddock the most. Cod is my favorite fish..I love "fishermens brewis"..hmmm. I like cod and haddock. I love salmon on a cedar plank! Cod is my favorite fish. We love Tilapia. The Gluten Free Grilled Asian Roll-Up recipe is good. This looks delicious..Thanks for sharing....Just wondering if your contest is available to QC, Canada? Of course it is! Thanks for entering. I like to go out for Cod, Fish and Chips! " Fishing Ships " Salmon on the neighbours BBQ can't be beat! At home I like a white peppery lemon halibut. We love fish tacos in our family. my favorite fish is cod. Beer battered cod with tartar sauce.